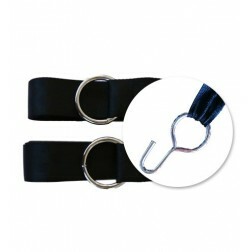 The Salsa Single Hammock is made with extra long lasting material, weatherproof, UV resistant and yet as soft as cotton. 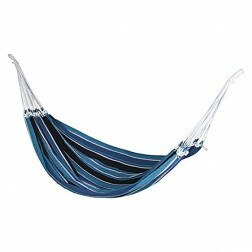 Made from EllTex, the Salsa Single Hammock is weatherproof, UV-resistant and comes in two vibrant colour options. 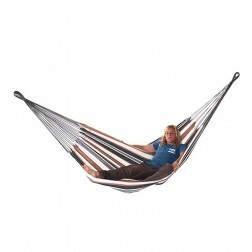 This hammock is very comfortable when positioning it with a deep sag in the centre, then lying in the hammock diagonally. 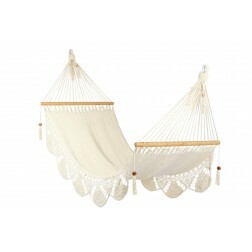 Purchase this beautiful hammock that's extra long lasting and yet as soft as cotton for yourself or for that deserving someone in your family.